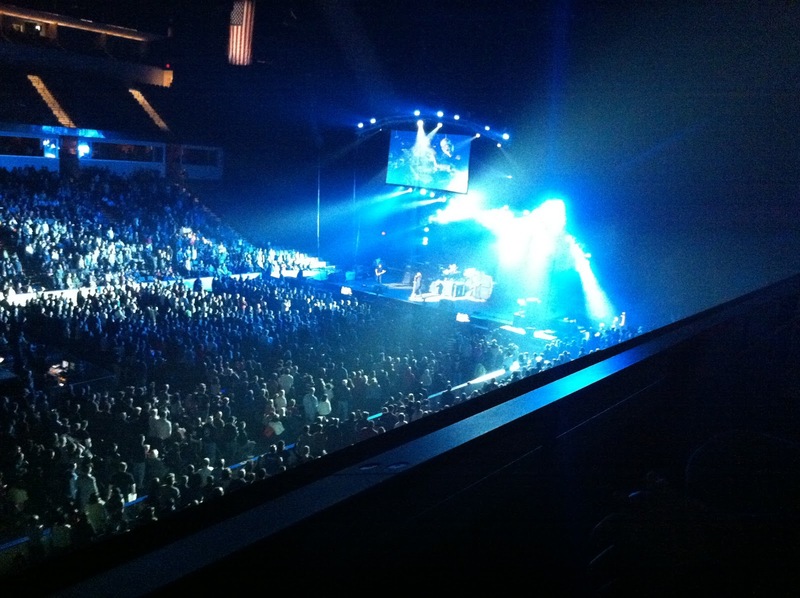 Friday night some friends and I went to the Rock and Worship Roadshow. Let me just say it was freaking awesome! Ok, so not all of it was what I would want in a concert, but it really was great, and if it's coming to your city, you need to go! The bands present were Mercy Me, Jars of Clay, Thousand Foot Krutch, Matt Maher, and The Afters. I didn't know who The Afters were until the concert, but they were pretty cool. Didn't know who Matt Maher was either, but he and his band were cool also. I knew exactly who Thousand Foot Krutch was, and I was really going to see them. I have had some of their music in the past, and I was looking forward to hearing them live. They did not disappoint! Jars of Clay kind of disappointed me. I'm not sure if it's because I was expecting so much because I had been a fan of their music for so long or if they just had an off night, but either way, it wasn't what I thought we'd see from them. Mercy Me didn't disappoint, but the music isn't just what I am naturally drawn to. So basically I'm saying that Thousand Foot Krutch was awesome, but mostly I was grateful for the wonderful company of Mark and Andrew. Those two guys are great Christian brothers and I look forward to many more opportunities for fellowship! Hanging out with friends and enjoying good music sounds like a fun night! You and Joel should come with me some time!